9th Street near Tompkins Square Park in a 2013 photo. Much of the graffiti seen here has been scrubbed off. It wasn’t that long ago that Alphabet City was considered one of the most dangerous parts of New York City, with violent, drug-related crime happening on the regular. But that era has passed. 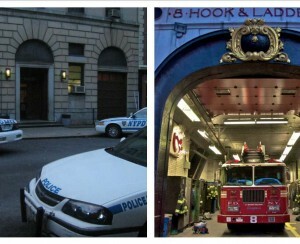 These days, the area is—like the rest of Manhattan—much safer, sought-after, and expensive. 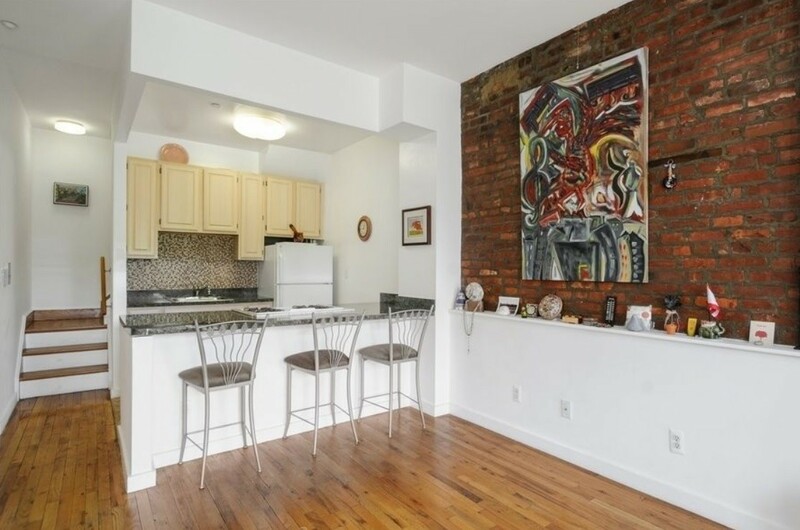 In this week’s Buy Curious, Lucy Gallucci of Citi Habitats and Frances Wilson of BOND New York describe what life is like now in this section of the East Village. 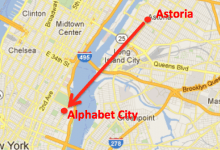 What’s the deal with Alphabet City? What’s the housing stock like? How’s pricing? Located within the East Village, the sub-neighborhood of Alphabet City is bordered by Houston Street to the south and 14th Street to the north. Its name is derived from Avenues A, B, C, and D—the only avenues in the entire borough that have single-letter names. According to a study conducted by researchers at Columbia University, as of 2014, there were 61,350 people living in Alphabet City. Residents were 67.45 percent white, 6.84 percent black, 15.33 percent Asian, and 17.79 percent Hispanic. During the 1980s, the area drew tons of creative types, including struggling artists, musicians, writers, and poets. It was also known for its high levels of illegal drug activity and violent crime (which is memorably depicted in the Broadway musical, Rent). These days, the area is as safer, and not nearly as affordable as it once was. This gentrification—which began in the 1990s and early 2000s—resulted in lower crime rates, higher rents, and a slightly less bohemian vibe. 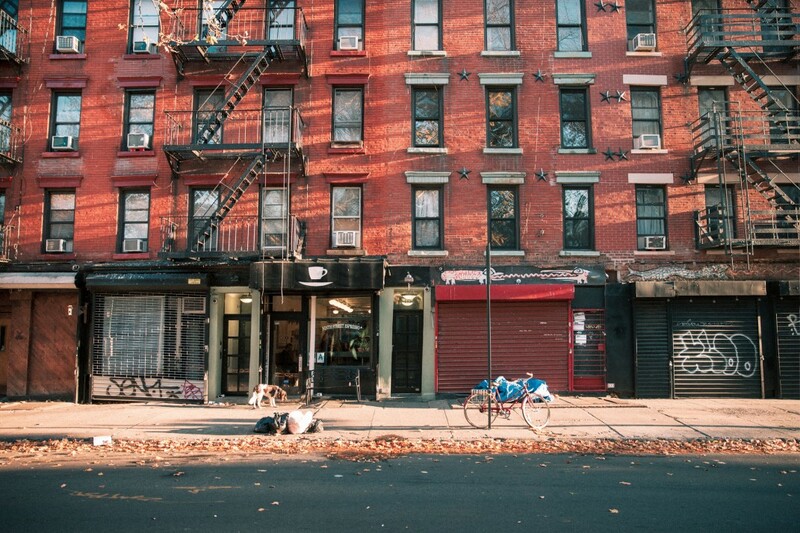 Today’s Alphabet City is made up of a mix of longtime residents and new transplants. “Young artists and professionals alike are attracted to the authenticity and community spirit [of the neighborhood],” Wilson says. Most of Alphabet City’s housing stock is prewar walk-up tenement buildings. “These give the neighborhood a distinctive look—with fire escapes zigzagging up their facades and topped with ornate cornices,” Gallucci says. There are also some historic townhomes and a few modern doorman buildings. HDFC (Housing Development Fund Corporation) co-ops are also relatively common. 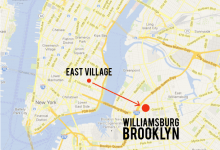 New construction in the area includes luxury condominium buildings Steiner East Village, an 82-unit building at 438 East 12th St., and Thirteen East + West, two six-story buildings at 436 and 442 East 13th St. There is also a new luxury rental from developer Extell called EVGB, which is located at 510 East 14th St. Many of the apartments there have balconies or backyards, and tenants have access to amenities like an inddor saltwater pool and 19,000-square-foot landscaped roof deck. The average sales price so far in 2018 is $1,592,697, according to Jonathan Miller, president and CEO of Miller Samuel, a real estate appraisal and consulting firm. That’s up 69 percent from last year, when the average price was $940,195, and up a whopping 94 percent from 2013, when the average price was $822,980. A search of realtor.com shows listings range from a massive, renovated townhouse with seven bedrooms and five baths at 526 East 5th St. listed for $6.5 million to a one-bedroom co-op at 527 East 12th St. that costs $300,000. Gallucci says that in her experience, a studio in Alphabet City would cost between $400,000 and $500,000. For one bedrooms, the range is wider. “Small one bedrooms in walk-ups are priced around $500,000, while larger, renovated, or new units are about $1 million or so,” she says. Two bedrooms will cost between $1 and $2 million and up depending on square footage and level of renovation. There are a number of options in the area, including the L train on 14th Street, the 6 at Astor Place, and the F on Houston. Several bus lines also service the area, including the M14A and the M14D. For folks looking for a lovely place to stroll, there’s 6BC Botanical Garden, a community garden with hundreds of plants and flowers, and Tompkins Square Park, which has a greenmarket on Sundays, as well as outdoor concerts and movie nights. Wilson is partial to the Nuyorican Poets Café, a legendary spot in Alphabet City that offers open mic nights and poetry slams each week. There’s also the Museum of Reclaimed Urban Space, which gives visitors a peek at the neighborhood’s history of grassroots action, and offers walking tours of Alphabet City’s most famous and infamous locales on Saturdays and Sundays. Some of Gallucci favorites include Tuome, which serves a contemporary American menu with Asian influences; Pylos, which offers elevated Greek fare; and Caravan of Dreams, a vegan place with kosher and organic dishes. As for nightlife, she favors “dive bars with great jazz and blues music like Mona’s and old-world speakeasies such as Please Don’t Tell.” She also recommends Drop Off Service, a bar housed in a former laundromat, and The Wayland, a laid-back neighborhood bar that has live music four nights a week. Wilson likes Edi & The Wolf, which offers authentic Austrian cuisine; Poco, a casual tapas place; root & bone, which serves Southern fare and craft beers; and Zum Schneider, a Bavarian bierhaus and German restaurant. There are lots to choose from, including chain stores like Key Food at 52 Ave. A, CTown at 188 Ave. C, and Associated at 123 Avenue C, as well as smaller specialty stores such as Union Market at 240 East Houston St., which focuses on local, organic, and all-natural foods. 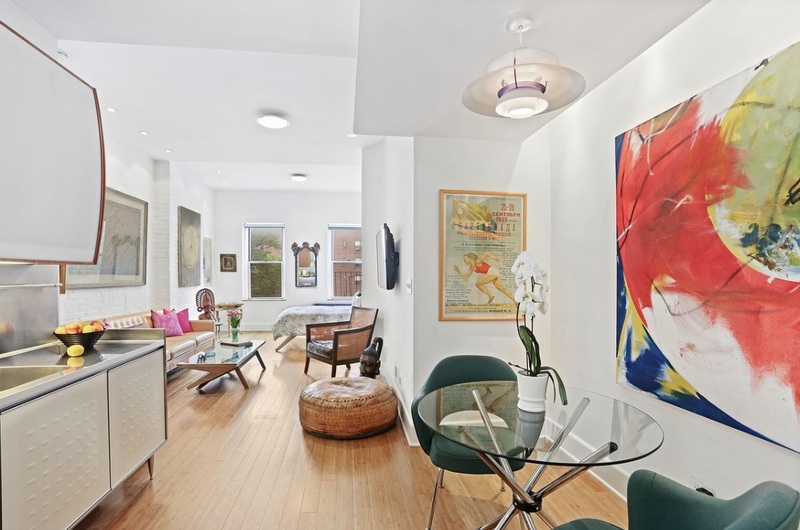 Listed for $849,000, this 850-square-foot two-bedroom, two-bath duplex has a shared terrace. 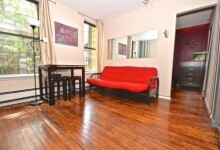 It’s located in a pet-friendly self-managed HDFC co-op building a block from Tompkins Square Park. Maintenance is $675 a month. 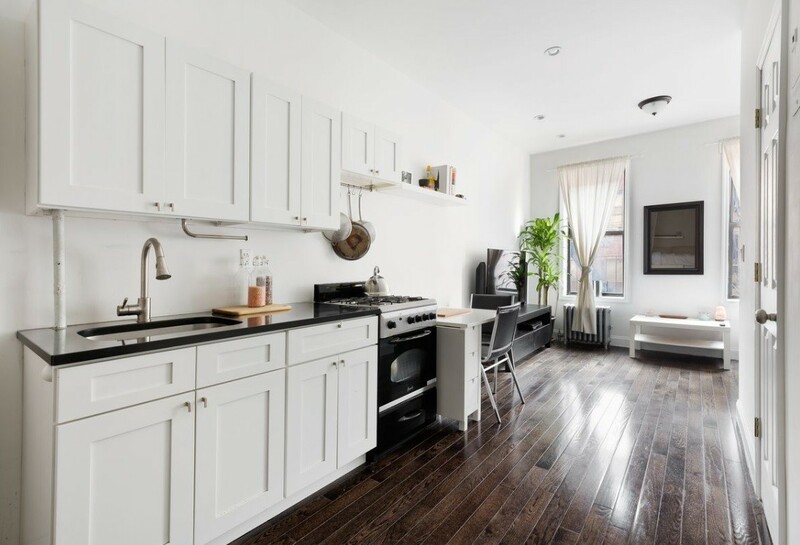 This $599,000 one-bedroom, one-bath co-op has 10-foot ceilings, bamboo flooring, recessed lighting, a dining nook with custom pendulum lighting, an open kitchen with cherry cabinetry and stainless steel countertops and appliances, and a large walk-in closet in the bedroom. It’s in a pet-friendly co-op building with a live-in super, bike storage, personal storage cages, and a private garden. Pieds-à-terre are allowed, as is subletting after three years of ownership. Maintenance is $661 a month. Priced at $449,995, this alcove studio has been gut renovated and now has recessed lighting, solid oak hardwood flooring, quartz countertops and Shaker cabinetry in the kitchen, and a white-tiled shower in the bathroom. It’s housed in a pet-friendly co-op building that permits subletting. Maintenance is $397 a month. Listed for $1,000,000, this two-bedroom, one-bath co-op has a private roof deck with water and electric power. The apartment has hardwood floors, exposed wood beams framed by exposed brick, and quartzite countertops, stainless steel appliances, and a dual gas and induction heating stovetop in the windowed kitchen. There’s also a washer and dryer in the apartment, as well as a ductless HVAC. 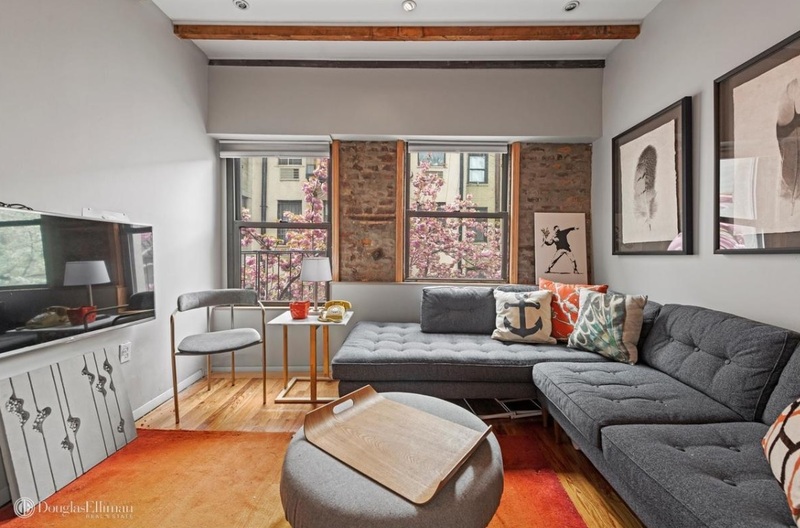 It’s in a boutique walk-up co-op located in a former carriage house that has a planted courtyard, deeded storage, and bike storage. Maintenance is $1,246 a month. 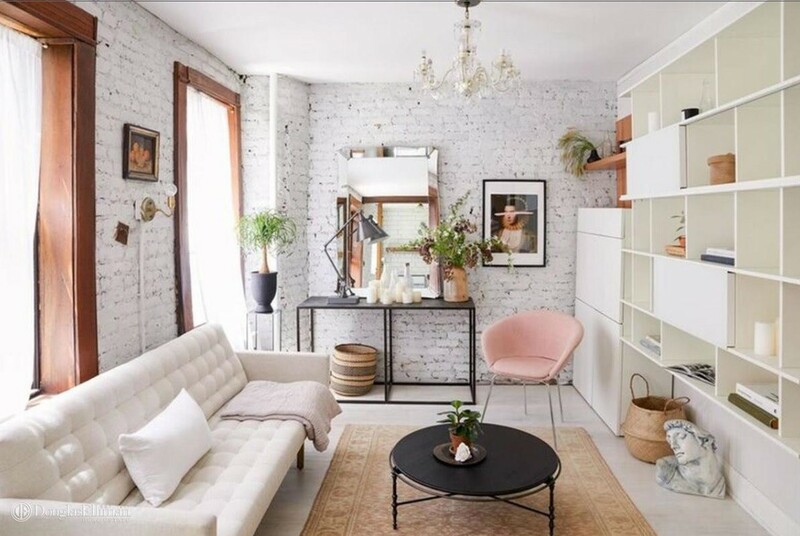 This one-bedroom, one-bath apartment has an open floor plan with exposed brick, lots of closets, and a queen-sized bedroom. There’s also a renovated kitchen with a breakfast bar, open shelving, and an antique marble sink and full tub in the bathroom. 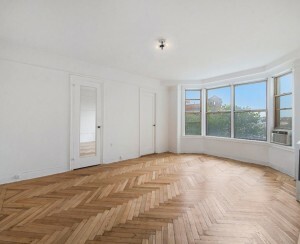 It’s in a pet-friendly prewar HDFC co-op with income restrictions. It’s listed for $485,000. Maintenance is $500 a month.